Yay! My April Birchbox is here! I was able to get a sneak peek when I was in my account so I have been pretty jazzed to get this. 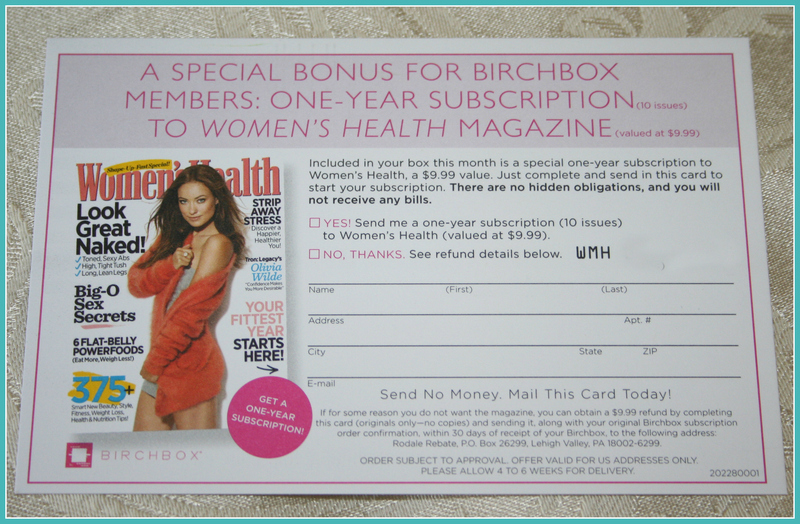 This month Birchbox teamed up with Women’s Health Magazine for their picks for this month’s samples. Grrrr… Foil packs. Nothing very deluxe about them. That said it did give me the chance to sample the scents. 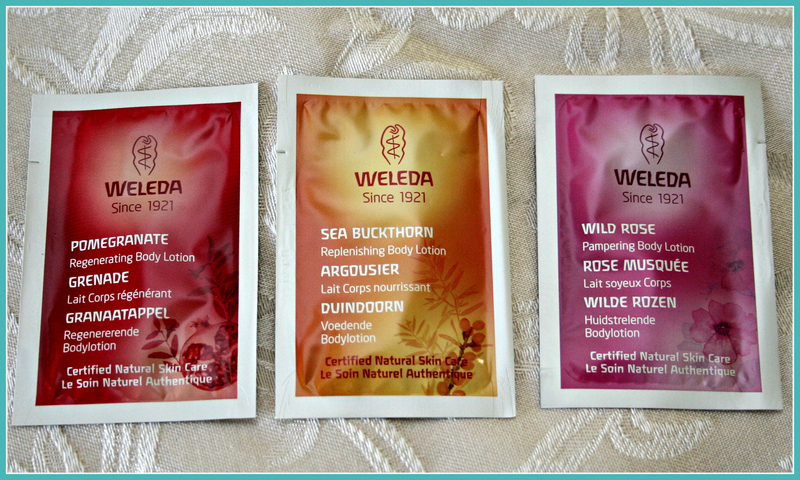 Wild Rose is very old lady sachet smelling – not my cup of tea. The other two are nice. Wonderful formula that really helped my dry hands! I have been playing in the dirt a lot this week! Haven’t tried this yet. My Juice BB cream has been doing such a great job I don’t get shiny. 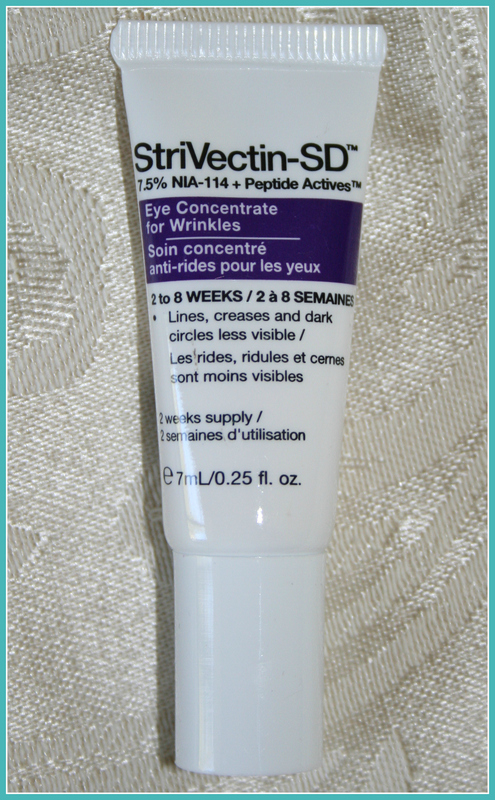 Will give this a go when I am out of my BB cream sample. 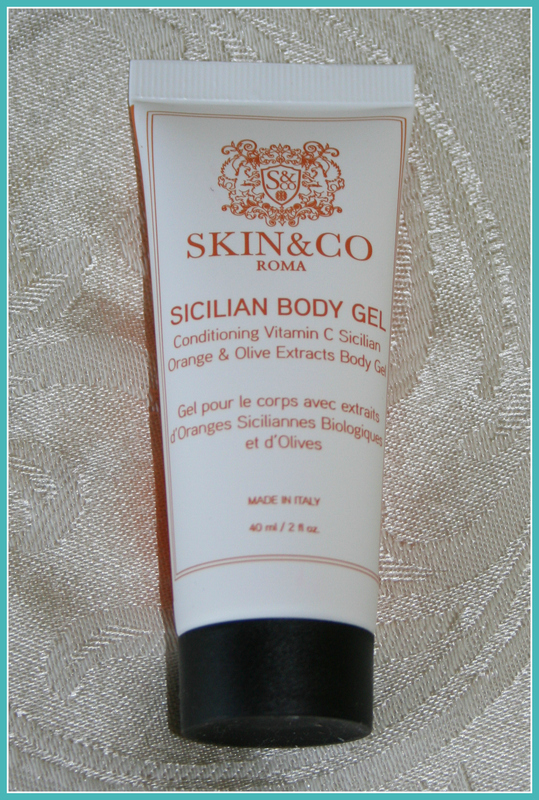 The first time I tried this the skin on my hands absorbed it immediately. Then I mixed it with my hair gel. Works well – smells like the Piña Coladas at Turtle Bay in the North Shore. I’ll be honest – I was so excited to get this. Man, am I glad I got a sample before I bought it! It is so over the top perfumey smelling. Even my wash cloth reeked. I tried to give this away – no one wanted it. 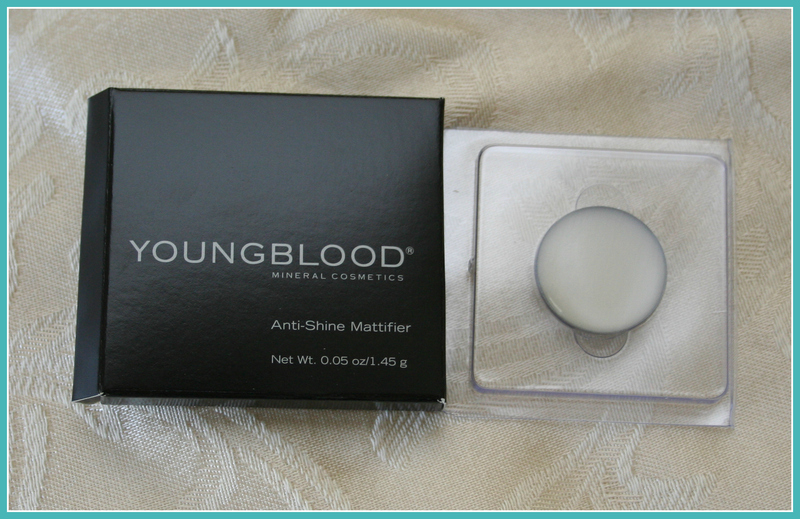 I have been dying to try this – and bonus this sample is huge! It takes very little for me to use it so it should last me the full 8 weeks. I almost threw this card away! Thought is was an ad like you get in your magazines. But instead it is a free subscription. I used to get this magazine – but we cut back to save money. This was a very happy find! I have to say I really enjoy the boxes Birchbox does with others and hope they do this more often. They should get together with Oprah – can you just imagine how over the top that box would be?? Click here to use my referral link for more information on Birchbox. Oh looks like you got a great box this month! 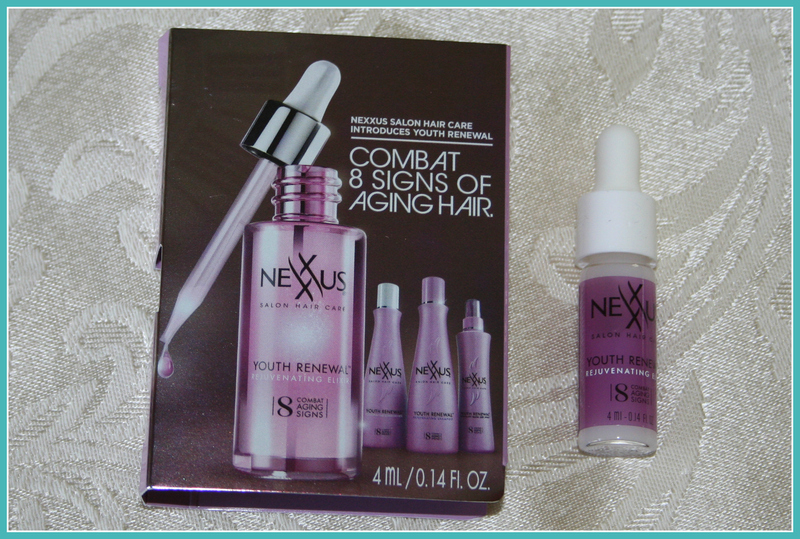 I’m kinda jealous of the eye cream and it looks like we got the same Nexus hair serum. I actually just reviewed my Birchbox, I’d love it if you’d go check it out! We received the same box this month! I really like the eye cream :).